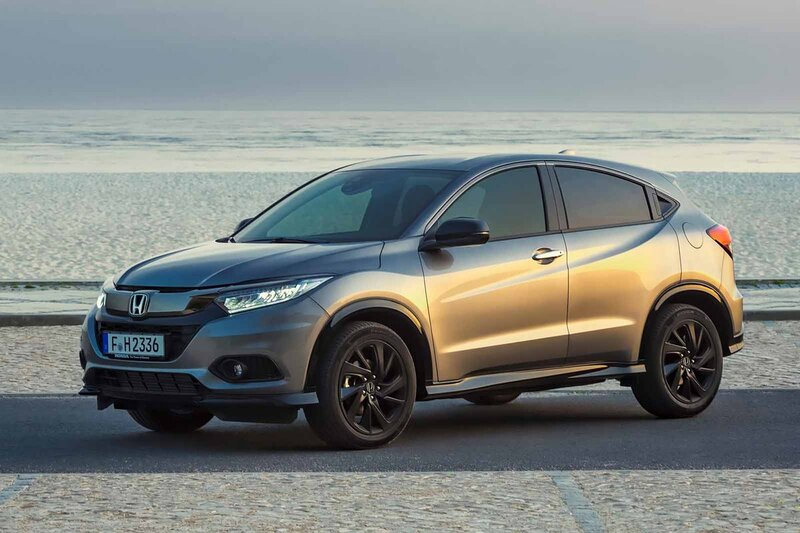 Honda HR-V Performance, Engine, Ride, Handling | What Car? The 1.6-litre diesel engine feels a bit flat at low revs, but is punchy enough above 2000rpm, giving decent acceleration by small SUV standards. By contrast, the normally aspirated 1.5-litre petrol has to be worked hard at all times because it isn't turbocharged, and if you specify it with the optional CVT automatic gearbox it feels even more strained. We’d far rather stick with the slick six speed manual gearbox. There is a turbocharged version of the 1.5-litre petrol, though, and – with its 180bhp and 177ft lb of torque – it feels anything but slow. 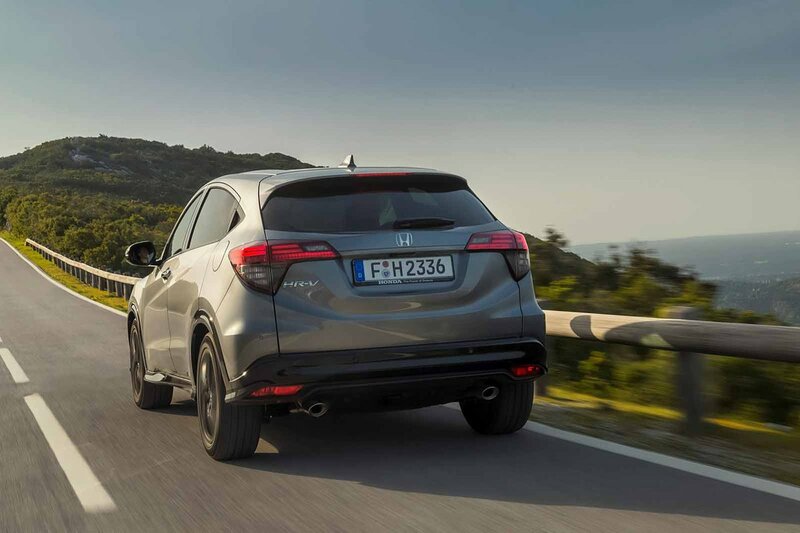 It pulls strongly from low in the rev range, endowing the HR-V with the kind of in-gear flexibility that makes for effortless overtakes on country B-roads. Indeed, our only complaint is that the engine runs out of puff beyond 5500rpm, which is a little disappointing as Honda is known for its free revving VTEC units. The standard HR-V has fairly firm suspension to make it handle tidily, but ride comfort suffers a little because of this. Compared with rivals such as the VW T-Roc, for example, you're more aware of bumps as they pass beneath the car. That said, over larger bumps such as sleeping policemen, the HR-V’s body stays nicely controlled and you rarely experience any unnerving body bounce along fast, undulating roads. The Sport, however, is a little less successful at masking imperfections. With sportier suspension and relatively large 18-in wheels, it does a surprisingly good job of managing long, wavy undulations, but sharp-edged ruts and potholes can occasionally send a nasty jolt through your seat. The HR-V is one of the better-handling cars in the small SUV class. Its steering is well weighted and responds consistently, which helps make the HR-V feel quite nimble by compact SUV standards. There’s still plenty of body lean, but it’s progressive and isn’t alarming. The HR-V is certainly a better handling car than the Renault Captur, although not as good as the Audi Q2 or VW T-Roc. Meanwhile, the range-topping Sport with its own unique suspension and damper set-up feels even sharper to drive. Of course, being a tall SUV it still leans in the corners, but body control over lumps and bumps is well controlled. 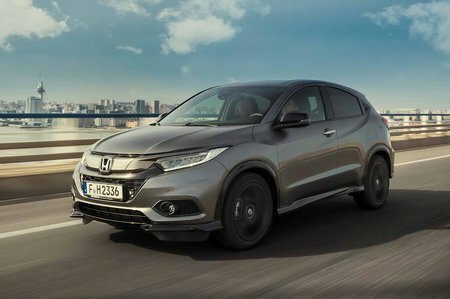 Just don’t expect it to feel as sporty as the Seat Arona or Audi Q2, however – despite its name, Honda has clearly focused on the Sport remaining an uncompromised family car rather than a ‘hot’ SUV. The entry-level petrol engine is quite noisy when you rev it hard, which you have to do a lot, and the optional CVT automatic gearbox only compounds the problem; it often causes the engine to stay at high revs under even moderate acceleration. Thankfully, this isn’t such a problem in the turbocharged 1.5-litre petrol. With more low down grunt, there’s no need to rev it as hard as you do the base petrol and it fades into the background at speed. This can’t be said for the diesel – an engine that is gruff and intrusive when you accelerate and vibrates noticeably at a cruise. Wind noise isn’t too bad, but tyre noise is noticeable – particularly on coarse surfaces.